The vast majority of businesses, from small firms to large enterprises, are transitioning to the cloud in some capacity. But “everyone else is doing it” is not reason enough to make the switch. It’s important to look at your own needs, infrastructure and budget to make an informed decision. 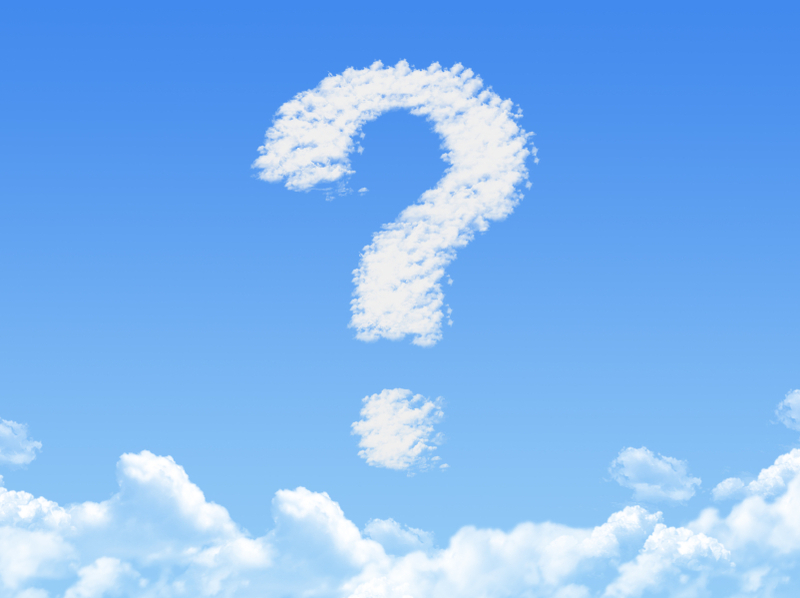 Ask yourself these five important questions before beginning your transition to the cloud. In many cases, answering the questions will make it clear that moving to the cloud is the right choice. But it’s important to go through the process to be sure. Q: Why do I want to transition to the cloud? If you can’t answer the why, transitioning to the cloud is premature. As with all business decisions, the transition needs to solve some sort of problem, address a need or reduce the bottom line. We all know the benefits of cloud computing – including greater flexibility, less required maintenance and lower cost – but you need to first figure out exactly how those benefits apply to your business. Q: Which software and/or applications do I need most? Typically, it’s not wise to switch all your software and applications to the cloud at once. It’s too much to handle logistically. Think about what you need or want to accomplish that you can’t with your existing systems. Is your call center software outdated and obsolete? Maybe that’s the first transition to make. Are you small business still using Excel to track expenses? Maybe cloud-based accounting software is a good investment. Always start by assessing your needs. Q: Is my legacy software out-of-date or obsolete? For large enterprises, this is an important one. 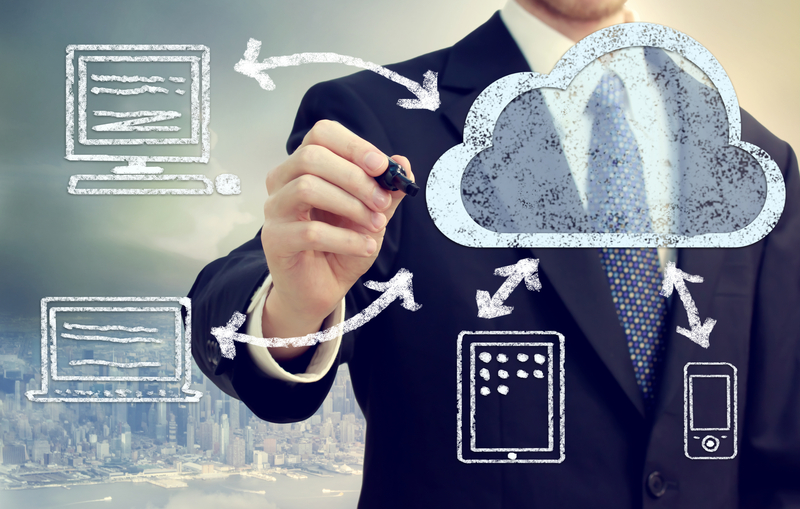 Cloud software offers many benefits, but it may not be time to transition if your on-premise software is still functional and/or relatively new. Plan for a cloud transition in the future, but don’t replace software that still works for your business, particularly if it came with a heavy investment. The time to start thinking about the cloud transition is when your existing technology and infrastructure no longer work for you. Q: How will we manage the transition? Cloud vendors make the transition as easy as possible, but there are challenges. For large organizations, data migration can be a huge undertaking. It is complex, expensive and time-consuming. Do you have the resources available to dedicate to the project? Also, who in the organization will be overseeing the cloud transition? It’s important to have a point person to plan and oversee the transition process. How and when will employees be trained to use the software? What other projects or tasks will be placed on the back burner while the project in ongoing? Q: Am I ready to give up in-house control? Some companies struggle with knowing that switching to cloud software requires some loss of internal control. In-house IT will no longer be handling updates and day-to-day management of the software. Data security, at least in part, will be handled by an outside firm. All reputable cloud vendors excel at handling these tasks for you – that is their job – but for some companies the loss of control can seem foreign and uncomfortable. What you don’t want to do is transition to the cloud and then be the type of customer who is calling every day with questions and complaints because you’re bothered by the loss of control. Do your homework to choose the best, most reputable vendor, and then leave the job to them. Whether you work in IT or marketing, you might have faced some resistance to the idea of cloud computing – maybe from coworkers or your boss. Some organizations are more resistant than others to the cloud transition, whether that means switching your entire contact center operation to the cloud or just buying a new cloud app to automate, manage and streamline your marketing efforts. Often, but not always, larger and more established companies are the most resistant. If you’re convinced that a cloud solution is the way to go, there are some strategies you can use to get the rest of your team on board. There’s no guarantee that you’ll win them over, but these strategies don’t work, perhaps none will. When you’re trying to sell someone on a change – no matter what it is – you need to present them with the facts. Look to data from respected IT analysts like Gartner, Forrester, HfS, IDC, IHS and more on the rise and prevalence of cloud computing. The numbers clearly show that organizations are moving to the cloud en masse. You can also turn to boutique analyst firms like 451 Research, which released a survey in 2014 showing that 65 percent of enterprises were deploying some form of cloud computing. More than 70 percent of the organizations surveyed said they planned to use cloud for external-facing operations by 2017, and cloud spending among respondents had increased 38 percent from the prior year. Beyond just general data, however, you should find statistics on cloud adoption in your particular industry. Maybe your colleagues don’t care if other industries are finding success in the cloud – they want to know about competitors. Compile all the data into a clear and compelling report, ideally with visuals. Within some organizations, there is still a lot of fear surrounding the cloud. Some are afraid it is not secure, while others fear transitioning to cloud software and applications will eliminate IT jobs. Others are just afraid of change. Don’t ignore these fears; address them. It’s better to have an honest conversation about the pros and cons of cloud computing than to let people make assumptions or buy into myths. In truth: The cloud is not perfectly secure, but neither are in-house solutions. And in most cases, cloud solutions are just as secure if not better. If they weren’t, cloud vendors wouldn’t survive. If colleagues don’t believe you, present them with research articles on the topic. As for the threat to IT jobs, in most cases transitioning to the cloud simply frees up employee time to address bigger-picture IT issues and strategies, rather than focusing on day-to-day maintenance. Don’t assume that colleagues fully understand the benefits of cloud computing. Particularly if you work outside of IT, cloud computing may be just a buzz word that they don’t fully grasp. Come up with a complete list of the benefits of transitioning to the cloud, and support those claims with data. Some ideas: 1) Do a cost comparison that breaks down the annual expense of a cloud solution vs. an on-premise solution. Especially if you’re pitching to the boss, the bottom line is hard to ignore; and 2) Explain in detail the flexibility that cloud computing provides, including automatic upgrades, collaboration among remote sites, and the ability to easily switch vendors if desired. On the heels of our Salesforce.com CRM integration, Kunnect is pleased to announce that our seamless, cloud-based call center software can now be integrated with Zoho.com CRM and apps. Zoho.com provides a suite of affordable, web-based apps to small and medium-size businesses. They offer sales and marketing tools such as customer relationship management (CRM), social media monitoring and insights, campaign management and more. They also offer tools such as word processing, databases, spreadsheets, presentations, invoicing, web conferencing and desktop sharing. Zoho has more than 13 million users, so the integration broadens our potential customer base. The Zoho.com integration allows us to push data to and from Zoho CRM and apps, which means Zoho customers who use our call center software do not have to switch back and forth between systems and applications. They can access all Zoho data right from the Kunnect interface, making it easier to store, access and record all the data they need to provide great customer service. In the modern age of the customer, call center agents need the ability to quickly access information about a customer’s preferences, purchasing history and more to effectively solve problems, upsell and meet customer expectations. Customers expect personalized service, and that requires quick and convenient access to customer data. Technology integration is crucial to the experience. Detailed customer information – Call center employees have easy access to complete customer information, including previous interactions, sales history and more. Simple Zoho updates – Zoho can be updated without leaving the Kunnect interface. Customer service employees can create new tasks, events and contacts all in one system, which improves efficiency. Dynamic linking – The ability to link to other parts of Zoho.com (i.e. appointment module, spreadsheet, etc) based on the active contact record, without having to leave the Kunnect interface. Like Salesforce.com, the integration is made possible through Zoho’s application programming interface (API). The Zoho.com integration capabilities come at no additional cost. Potential customers who use Zoho can take advantage of Kunnect’s complete and user-friendly call center software for $125 per agent per month with a flat deposit of $125 per user. There are no additional fees or hidden charges. In addition to Salesforce.com and Zoho.com, Kunnect’s 100 percent cloud-based software integrates with Microsoft CRM and Frontrange. Our software, hosted in the Amazon platform, includes features such as a predictive dialer, call scripting, call recording, ACD, skills-based routing, IVR, living monitoring, real-time statistics, historical reporting and more. Interested in learning more about Kunnect call center software or our Zoho.com integration? Contact us for a free demo. At Kunnect, we’re constantly looking for ways to make our cloud-based call center software even more convenient and user-friendly. We’re excited to announce that we’ve completed an integration using the Salesforce.com application programming interface (API). Now, we can push data to and from Salesforce for potential clients who use Salesforce for their CRM system. Why is this important? As access to good and complete customer data becomes increasingly important to customer service, business systems and applications need to communicate with one another. If they don’t – and data is stuck in silos – customer service employees are lacking the complete picture of the customer they need to provide the best service, including information about the customer’s preferences and history of interactions with the company. Two-way data integration – Customer information is automatically synchronized from Kunnect software to Salesforce CRM and vice versa. Call center employees never have to use separate systems to access information. Automatic ticket creation – When your call center employees make a new contact, receive a voicemail or miss a call, a ticket is automatically created in Salesforce. This means potential leads never slip through the cracks. Detailed customer information – Call center employees have easy access to complete customer information, including previous interactions, recordings of previous calls, sales history and more. This gives customer service employees the information they need to do the best possible job, customizing their offers and interactions to customers as individuals. Simple Salesforce updates – Salesforce can be updated without leaving the Kunnect interface. Customer service employees can create new tasks, events and contacts all in one system. This simplifies the process for employees, saving time. It also ensures that all customer data stays up to data across systems. In a nutshell, the integration improves workflow, saves time and improves the quality of customer interactions. And it comes at no additional cost. Potential customers who use Salesforce.com can take advantage of all the robust features of Kunnect software for a flat monthly fee of $125 per agent per month with a flat deposit of $125 per user. There are no hidden fees. Kunnect software also integrates with other CRM systems, including Microsoft CRM, FrontRange, SugarCRM and Vtiger. Our 100 percent cloud-based software, hosted seamlessly in the Amazon platform, includes features such as a predictive dialer, call scripting, call recording, ACD, skills-based routing, IVR, living monitoring, real-time statistics, historical reporting and more. Interested in learning more about Kunnect call center software or our Salesforce integration? Contact us for a free demo. Salesforce.com, through its Force.com platform, makes it simple to integrate with other systems and applications. Using one of a series of application programming interfaces (APIs), other applications can access data from Salesforce.com, which is widely agreed upon as the easiest CRM system with which to integrate. Two-way integration can be achieved with Microsoft Outlook, Excel, desktop software, phone systems, server applications and more. As traditional on-premise vendors launch cloud offerings and new cloud-only vendors continue to pop up, it can be difficult to choose. There are many things to consider: features, pricing, customer service and support, flexibility, scalability, security and more. Here are some important things to consider when searching for a cloud call center vendor. 1. The state of existing systems and infrastructure – Do you have existing telephone infrastructure in place that will stay? Can the cloud-based call center software be integrated with that? What about your CRM system – can the call center software be integrated with that? 2. The features and tools you need – It’s always a good idea to make a list of all the features that are critical, as well as those that are desirable but not deal breakers. Most companies will need IVR and ACD, but do you also need features like skills-based routing, real-time statistics and historical reporting? Even if you don’t need these features now, might you in the future? 3. Customization and scalability – These two go hand in hand. You want call center software that can be customized to the needs of your business, and you also want software that can be scaled up or down as your business changes. The beauty of cloud-based call center software is that it is typically simple to add or remove agent licenses as needed, but you should get details from the vendor to be sure. Can it be done with a simple phone call? Also, are you locked into a contract or can you cancel the service and switch vendors if you’re unhappy? 4. Budget constraints – Another benefit of cloud-based call center software is that it’s affordable. Rather than shelling out tens or hundreds of thousands for on-premise software, there is a low monthly per-agent fee and little – if any – money to pay upfront. However, not all software is priced the same way, and it’s important to understand the differences in fee structures. Some vendors advertise low monthly rates but then tack on additional charges like telecom fees that can blow your budget, while other vendors offer a flat monthly rate. 5. The size of your business – Some cloud-based call center software is designed for small businesses, while others are a better fit for larger organizations. Generally, you should look for software that is designed with the size of your business in mind. Of course, if you’re a small business you should also plan for growth – which is where scalability becomes crucial. 6. Upgrades – Is the software automatically updated when there are improvements, and does that come at no additional cost? This is typically the case with cloud-based call center software, but it’s wise to make sure. 7. 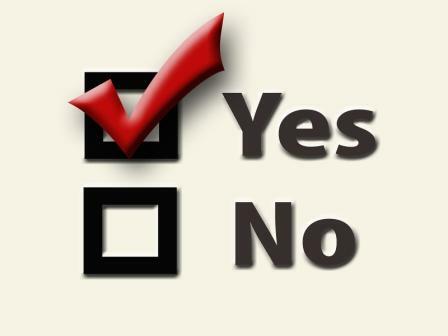 Reliability and customer service – Can the vendor guarantee a certain amount of uptime vs. downtime? What happens if that is not met? If there are unexpected outages, how quickly are they resolved? 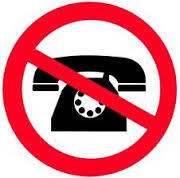 If needed, are customer service representatives available at all hours, both by phone and email? 8. Security – How does the vendor protect your company’s sensitive information, including customer data? What security tools, policies and procedures are in place? Does the software integrate with your existing security tools? People who have a poor customer service experience tell an average of 12 people, according to research from CX Act, and those people tell some 72 more. Factor in social media and those numbers multiply quickly. Amazing customer service, on the other hand, is what sets companies apart in this social age, creating a lasting impression and building brand loyalty. Companies like Amazon, the Ritz-Carlton, Nordstrom and Zappos and have mastered the art of exceeding customer expectations, and the good publicity from that has managed to further enhance the brands. Great customer service has the ability to give your brand the edge over competitors, but it’s crucial to understand the difference between just good customer service and the kind of customer service that knocks the socks off your customers, so to speak, making them want to come back for more. Here are the traits that set the most beloved consumer brands apart. Brands that excel in customer service are flexible. They give their agents and employees the ability to do what is needed to please customers without rigid standards. Rather than pushing back if a customer is upset, they offer the customer some sort of discount, freebie or solution that goes above and beyond what the customer expects. They do whatever they can to say yes to the customer. Great customer service extends far beyond the call center. The companies that get it right have created a culture that celebrates excellent customer service. Employees in all departments – from marketing and sales to IT – understand what makes for good customer service and how to deliver it. Employees from all departments will come in contact with customers, and every interaction matters. Savvy companies anticipate customer problems and attempt to resolve them before the customer becomes upset. In a restaurant, this could mean bringing out an unexpected free appetizer when the food is taking longer than expected. For an online retailer, it could mean covering the shipping charges and offering a coupon for future purchases when an order takes longer than expected to arrive. By getting ahead of problems, companies avoid negative customer experiences and, in the process, often end up impressing customers. 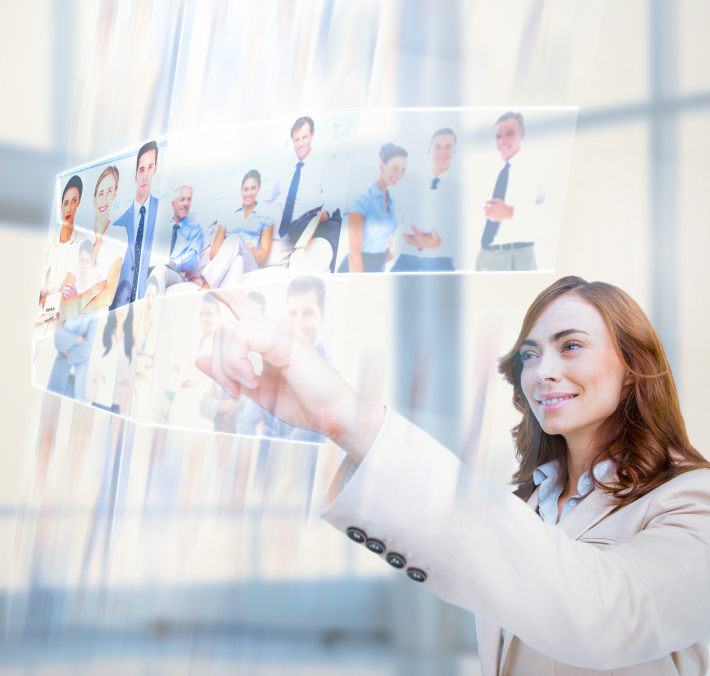 Modern customers expect to be treated like individuals, receiving highly personalized service. They expect you to know their preferences and purchase histories. More than that, however, customers expect you to empathize with them and treat them like real human beings. This means understanding and relating to their situations, and remembering personal details about them. The days of sticking to a script are over – modern customer service is about making a real human connection with the customer. Recently, I checked my bank statement online to find two unauthorized and unexplained Uber charges. I hadn’t used the service in weeks, so I knew they couldn’t be valid. A couple days later, three more showed up. Thank you for calling Uber. More often than not, phone messages are incoherent and can slow down our ability to provide timely support. Please email support@uber.com with your issue, feedback or billing question and one of our community managers will respond in a timely manner. Thank you. I was eventually able to resolve the issue over email (although it took a few days and lots of back and forth before a refund was issued), but the experience got me thinking: Is email-only customer service the wave of the future? If so, is that a bad thing for customers? From a company’s perspective, I can understand why email-only customer service is an attractive option. There’s no expensive phone system infrastructure to buy, and customer service employees have only one channel in which to communicate, simplifying the process. It seems likely that email-only support requires far fewer agents, and thus costs far less. However, we’re living in a world where customers want to communicate in the channel they prefer – whether that’s phone, email, social media or web chat. And different types of interactions lend themselves to different channels. For any situation where there’s a sense of immediacy, email is not ideal for the customer. To be fair, my exchanges with Uber over email were all pleasant, and the response time was decent – usually within a few hours. But it did take five emails with two customer support people over several days to resolve the issue, and that was frustrating because I wanted a more immediate resolution. The first four responses did not include an offer for a refund, and I had to continue to write back and push for one. In the end, it felt like a 10-minute phone conversation could have resolved what ended up taking several days. Despite the benefits – from a company’s perspective – of email-only support, the approach isn’t an ideal way to deliver customer service. Modern customers expect to be in the driver’s seat, and they are frustrated when they cannot communicate in the channel they prefer. The same goes for when a customer tries to interact with a company via social media but is told to call or email instead. Email is an important component of call center communication, no doubt. Some people – in some instances – prefer to communicate this way. But relying solely on email leaves customers without the options they crave. Will people continue to use Uber despite this? Sure. The service has proved to be a reliable and far more convenient alternative to taxis. But the limited customer service doesn’t exactly send the message to Uber users that the company is doing everything it can to address their needs, concerns and questions. We’re living in a world where multi-channel customer service has come to be expected. If a customer wants to chat via phone – which, by the way, some 80 percent still do – they expect phone support to be available. If they want to chat via social media, they expect a response on social media. And so on. 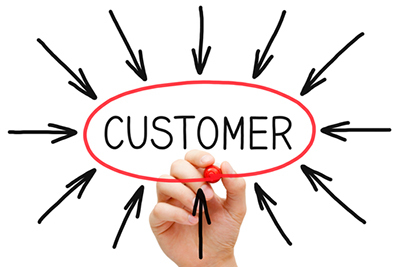 Companies that want to excel in customer service need to communicate on the customer’s terms.